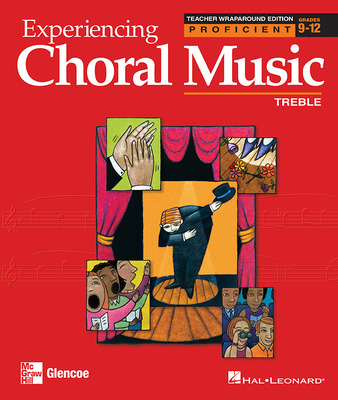 Experiencing Choral Music is a four-level series designed to build music literacy and promote vocal development for all students and voice categories in grades 6 - 12. 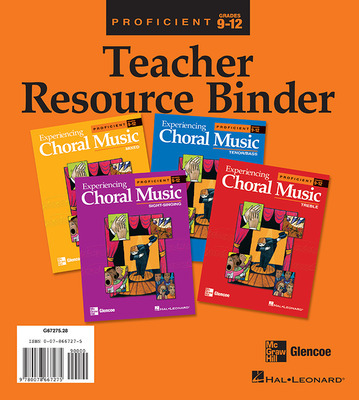 The series is a multi-textbook program supported with print materials and audio recordings that enables students to develop music skills and conceptual understanding, while providing teachers with a flexible, integrated program. Available in 4 levels: Beginning, Intermediate, Proficient, and Advanced. Written for Treble, Mixed, or Tenor/Bass voices. Twenty-four graded choral selections per book covering a variety of styles, cultures, and historical periods. 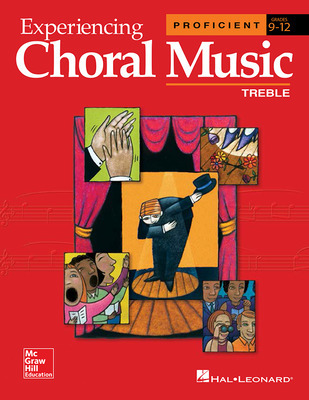 Every song is recorded in 3 ways: voices and accompaniment, accompaniment only, and part-dominant CDs. Each of the 4 levels is accompanied by a Sight-Singing book.